At Paula’s Choice Skincare, skin care is not just something we sell—it brings meaning to our lives, knowing our products are helping people feel more confident and beautiful every day. We always have—and always will—take the science of skin and our formulations seriously, and we celebrate what we do every day. I am proud to put my name on every product we make. A bit of personal history: What began as my personal quest to find products that would work for my own problem skin evolved into a mission to uncover the truth and learn the facts about skin and skin care. What I discovered was remarkable and fascinating, so I decided to share that information with the world. Since then, after writing more than 20 books on skin care (many translated into other languages), making media appearances around the world, and creating Beautypedia.com (my product review website), I feel that I have accomplished much of what I set out to do, and my teams and I now continue these efforts with gusto and enthusiasm. 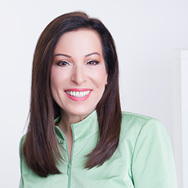 Paula’s Choice Skincare, launched in 1995, was born from my passion to formulate the best skin care products possible for a wide range of skin types and concerns. We are wholeheartedly dedicated and committed to helping you have the best skin of your life. How we go about making sure we live up to that commitment is distinctive and unique in the world of skin care—it’s what sets us apart in a way that will help you change your skin for the better in ways you never thought possible! Skin care must always be gentle. Any product or ingredient (natural or synthetic) that aggravates skin (e.g., fragrance, harsh scrubs, rough cleansing brushes, sensitising plant extracts) promotes ageing, increases redness and dryness, and/or makes oily skin worse should never be used. Sunscreen is indispensable. If sunscreen is not part of your daily skin care routine, you won’t have the best skin of your life for the long term. Spending time in the sun increases both your risk of skin cancer and early skin ageing. To decrease the risk, you must regularly use a sunscreen with broad-spectrum SPF 30 or higher. It takes more than one ingredient and more than one product to have and maintain healthy, young-looking skin. Skin, the largest organ of the body, has a complex, multifaceted composition that visibly deteriorates as the years go by. Given that complexity, skin needs more than any one ingredient, however good it may be, to look its best. Think about it like your diet: Green tea is healthy for you, but if you only consumed green tea, your health will quickly suffer. A comprehensive skin care routine is fundamental for having beautiful skin. Your selection of specific products, based on your skin type and on your specific skin concerns, is incredibly important for taking the best care of your skin. Skin concerns that are complicated or advanced require an assortment of special products with focused ingredients that research has shown can renew and revitalise. I wish one or two products could do it all, but that just isn’t possible. A primary need of skin is to be resupplied with ingredients that have been depleted, by time and by sun exposure. Every product you use must contain a combination of valuable skin-replenishing and skin-restoring ingredients to fortify and renew your skin every day, while also addressing your specific skin concerns. Skipping these vital ingredients will leave your skin deprived and unhealthy-looking. Safeguarding skin against environmental damage is imperative. To truly safeguard your skin and keep it young and flawless requires advanced blends of powerful antioxidants (not just one good antioxidant) to diminish the visible toll that pollution and city life have on skin. Exfoliation is a must. Gently and naturally exfoliating skin can virtually sweep away the signs of ageing and sun damage; that’s why leave-on AHA and BHA exfoliants are a cornerstone of Paula’s Choice Skincare. These brilliant products retexture the surface of skin by removing built-up, thickened layers of dead skin, which are caused primarily by unprotected sun exposure. This type of exfoliation in your skincare routine can produce phenomenal anti-ageing results (often overnight), as well as unclog pores and promote a more even skin tone. Research has repeatedly shown that the gold standard ingredients for treating acne are benzoyl peroxide and salicylic acid (BHA). The research also makes it clear that using abrasive or drying products is devastating for problem skin. Our CLEAR anti-acne products are formulated based exclusively on this information. Packaging matters. Almost all the brilliant, essential ingredients skin needs break down in the presence of light and air. That’s why we don’t use jar packaging for these types of formulas: When you take the lid off a jar, it lets air in, and those wonderfully beneficial ingredients steadily become ineffective, eventually going to waste. As skin care research progresses and new discoveries are made, our product formulations advance as well. We are never satisfied with the status quo. We are excited when new research reinforces what we already know and when it helps us improve our formulations and create new products that work better than anything else you have used before. Skin care is a balance between giving people what they want and what they need. Sometimes those two objectives don’t coincide, as people sometimes want what isn’t good for their skin, such as purchasing anti-ageing products in jars, using fragrant products or harsh scrubs, not wearing sunscreen, using expensive products that are poorly formulated, and so on. We will never make products that are bad for skin just because it’s the popular thing to do. At Paula’s Choice Skincare, we know exactly what it takes to have beautiful, healthy, younger-looking skin. Simply put: The science of skin and skin care is the starting point for everything we formulate. We endlessly read medical and scientific journals for research related to every aspect of skin care, and it is this analysis, from over 35 years of work, that provides the basis for every product we create and the skin care routines we assemble. All our efforts are aimed at you having the best skin of your life, which is why we love what we do!